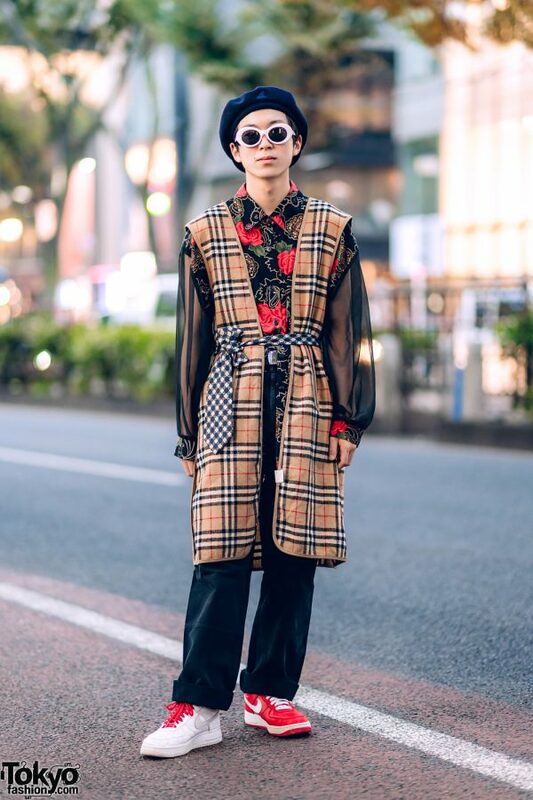 Here’s Syuta, an 18-year-old student whose striking streetwear style easily caught our attention on the Harajuku street. 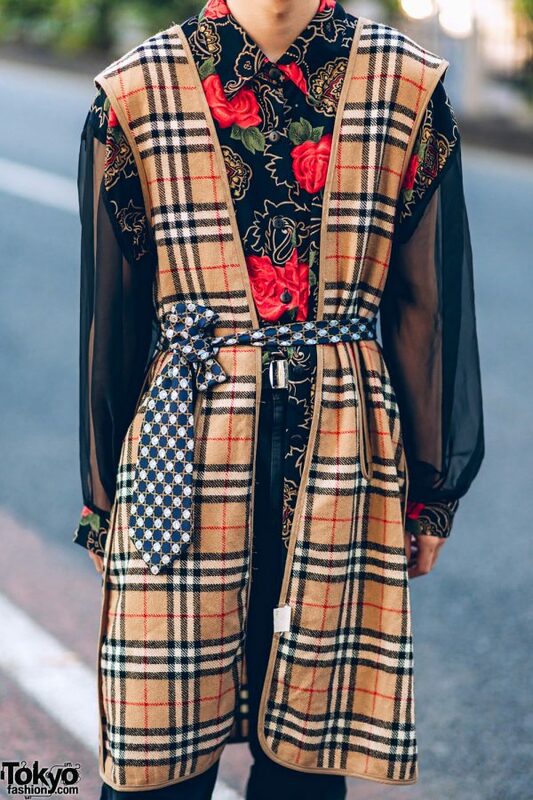 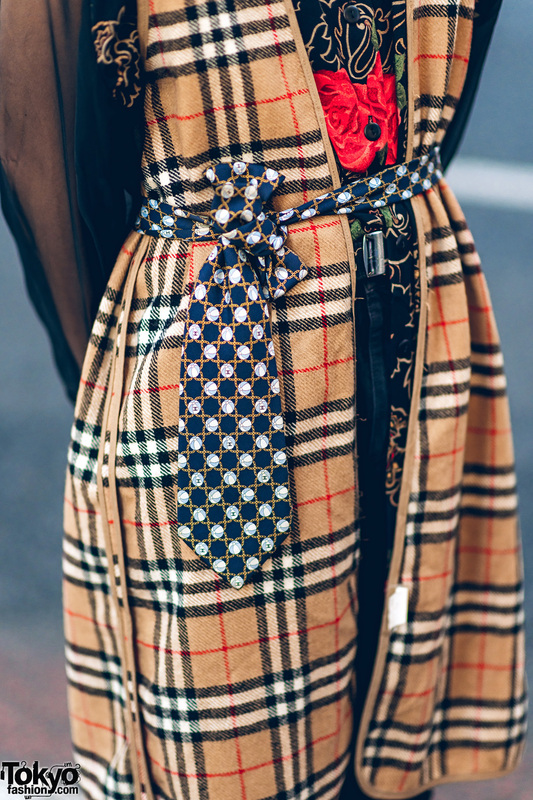 Syuta is clad in a Burberry plaid coat liner, which he styled with a resale black floral print long sleeve shirt with sheer sleeves, and black Hugo Boss cuffed pants. 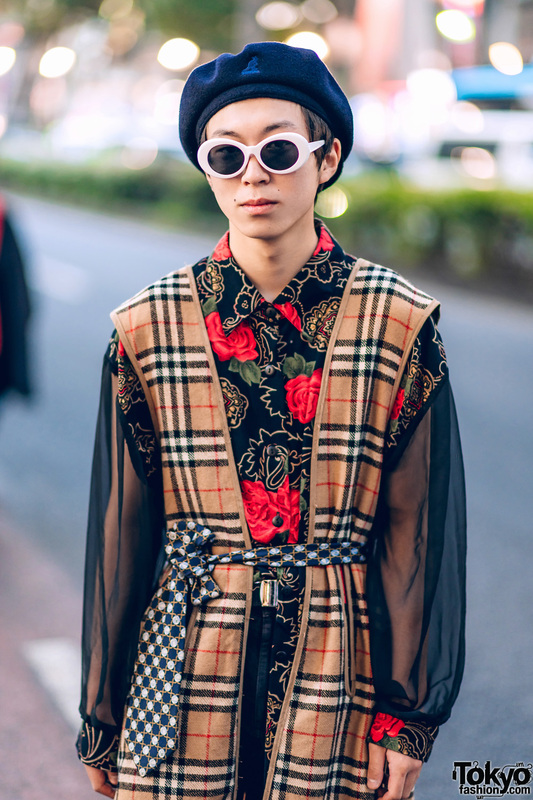 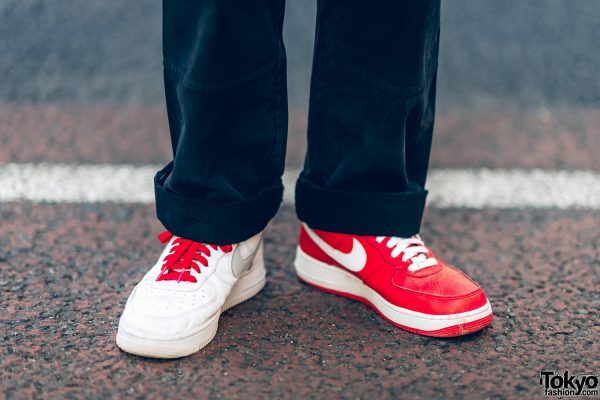 Red-and-white mismatched Nike sneakers, a black wool newsboy cap from Kangol, white-framed sunglasses, and a printed necktie used as a belt completed his streetwear look. 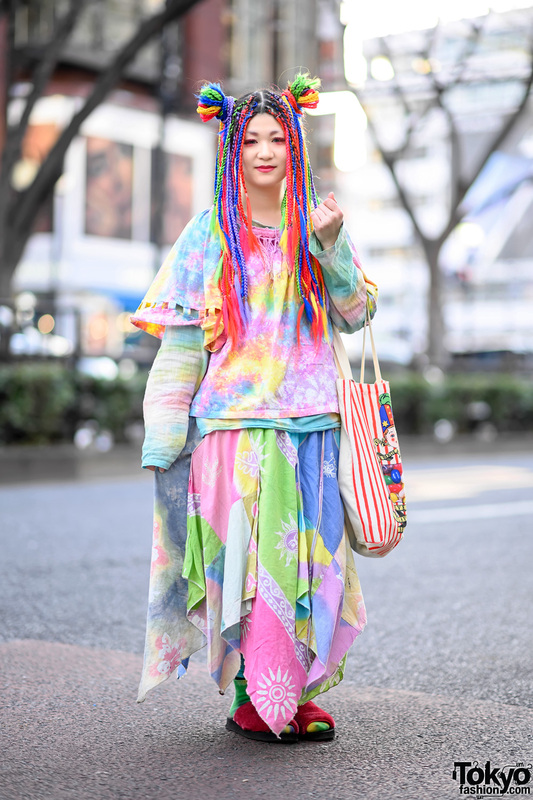 Syuta loves the music of Nirvana, and he is active on Instagram.